On the Wire Uncategorized What Is Baling Wire? 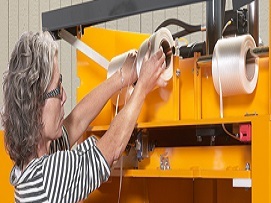 Baling wire is an essential supply for many different types of businesses. Whether you spell it baling wire or bailing wire, the idea is the same: it’s a product that is used to bring bales together into a bundle. There are a wide variety of baling solutions on the market today, many of which are sold right here at Vulcan Wire, but all of them have the same general goal in mind. The product you ultimately choose will depend on the specific job at hand. In this post, we’ll walk you through everything you need to know. If you need to order baling wire or would like to request more information about our products, please contact us today. You are going to be using your chosen baling wire along with a baler, so it is important that the two work together properly. If you already own a baler, you can simply consult the owner’s manual to determine what kind of wire you’ll need to purchase. If you can’t find the owner’s manual or just want a little reassurance that you are buying the right wire, just contact us and we’ll walk you through the process from start to finish. Of course, if you don’t yet own a baler and need to figure out what kind of machine would be suitable for your business, we can help there as well. Some of the popular baling wire options on the market today include single loop wire, black annealed wire, galvanized steel wire, and box wire. It’s not a case of one of these options being better than another, as they can all work in the right situation. Rather, it’s more important to make sure that you are using wire that suits your machine and has the strength and properties to meet the needs at hand. The gauge of baling wire refers to the thickness of the wire itself. You will need to pick out the proper gauge based both on the machine you are using and the task at hand. This is another piece of information that you can track down in your owner’s manual. Fortunately, when you shop with Vulcan Wire, you will find that we have plenty of gauge options available in our inventory. 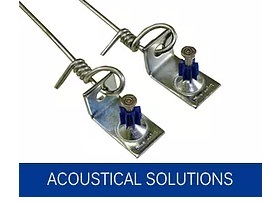 There is a good chance that we will have on the wire gauge that is called for by your machine. We hope this quick discussion on the topic of baling wire has been informative. The key to using this product successfully is to pick the right version to meet your needs. If you don’t have the knowledge or experience to make that determination, the team at Vulcan Wire will be happy to help. Reach out today to get started!